Vietnam has an amazing coffe culture unlike anything I have seen in other countries in SE Asia. From the traditional Vietnamese cafes that spill out into the streets, to large western chains and hip locally-owned hangouts, Vietnam has it all. 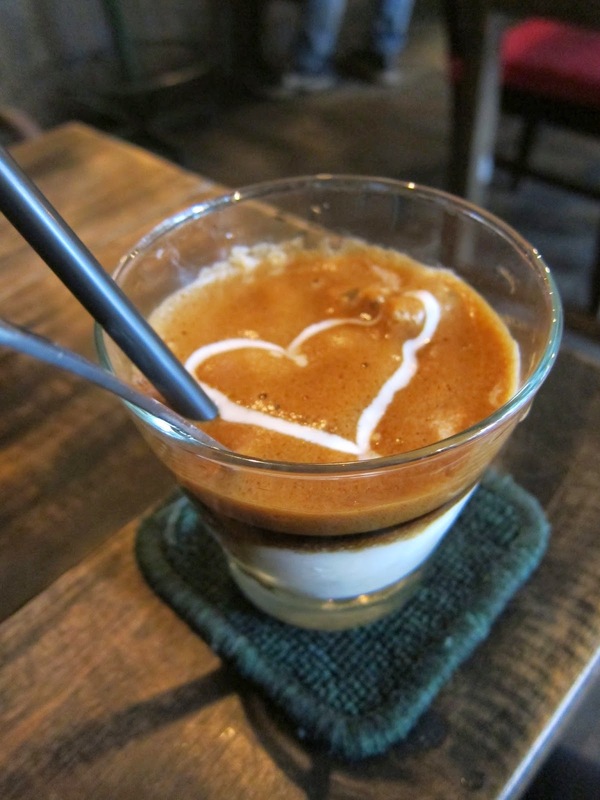 There are even a few things Vietnam has that other countries don’t: egg coffee and yogurt coffee. The birthplace of these drinks is in Hanoi, my first stop in Vietnam. I started by sampling egg coffee at the famous Café Giang, a hole-in-the-wall that is popular with both locals and tourists. I loved the taste of egg coffee, with a cream semi-sweet foam on top, then the rich bitterness of coffee at the bottom. 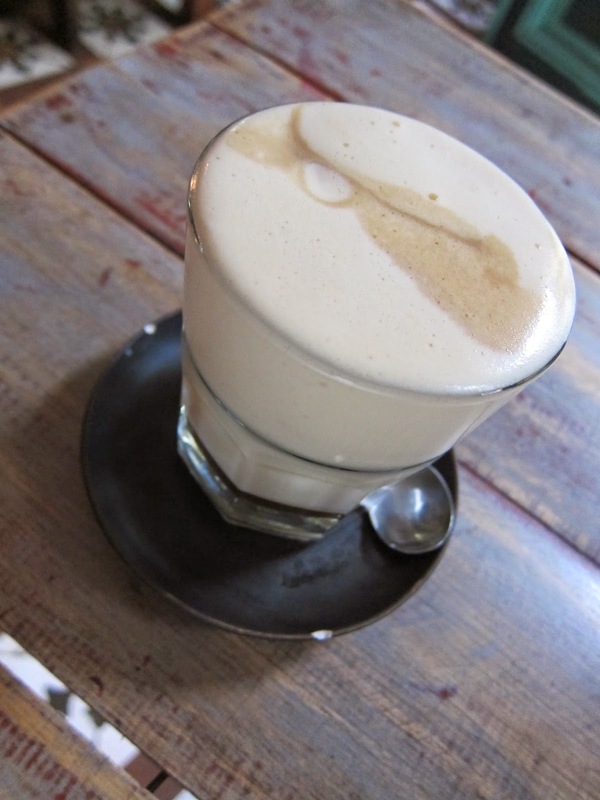 I had my second egg coffee at Hanoi Social Club, which I much preferred. It was larger and easier to mix the espresso and eggy foam. Yogurt coffee can also be found everywhere. 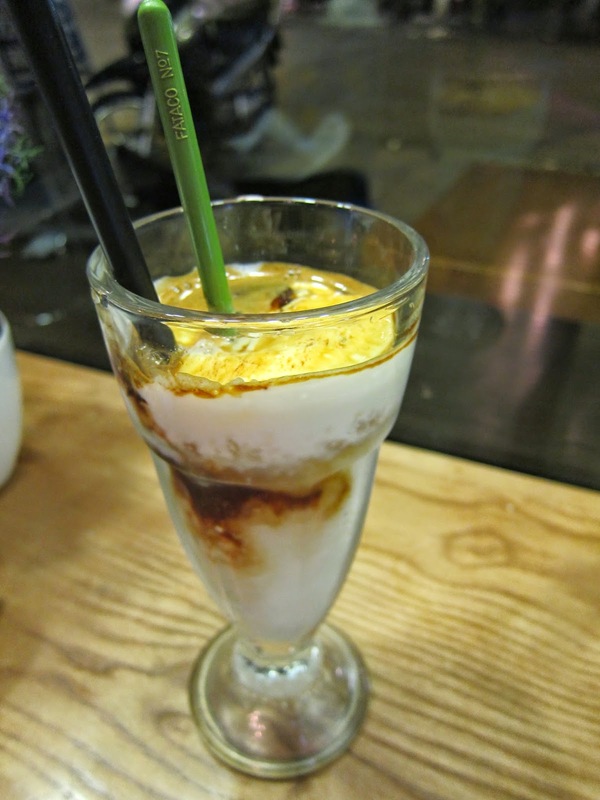 The first place I tried it was at Vici Cafe, but my favorite place to get it was at Cong Café. Vietnamese coffee is so strong it’s sour, and the sourness of the yogurt actually compliments that. The yogurt is also semi-sweet and very watery, so the texture is only somewhat thicker than regular coffee with milk.